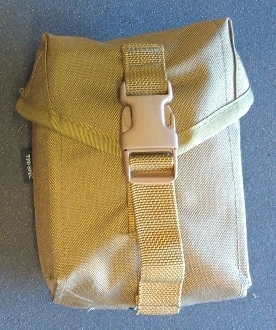 I had a bunch of ACU IFAK pouches sitting here and thought it would sure be nice if they were Coyote Brown. Well I grabbed the True-Spec catalog and ordered in some pouches in Coyote and Multi Cam so we could put these gems together. This is a US Army style IFAK that has been assembled by The Tactical Medic. The insert is US Surplus and the case is brand new "True Spec" brand (GSA compliant).